I know what you're thinking: "White Merlot? Seriously, dude?" Yeah, I'm serious. Because this White Merlot is seriously delicious. 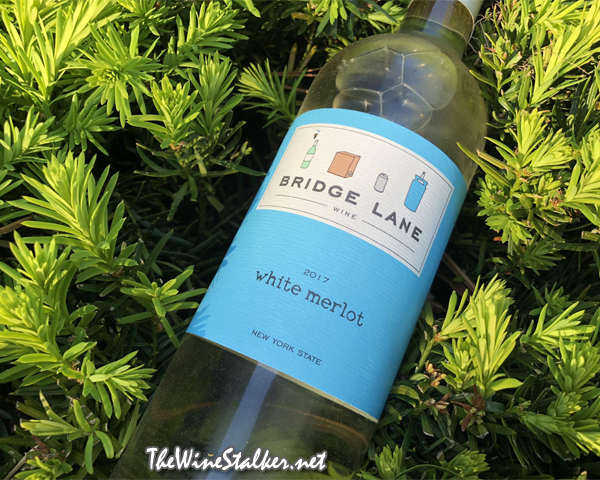 This is the third vintage that I've had of Bridge Lane's White Merlot and the second that I've reviewed on the blog. 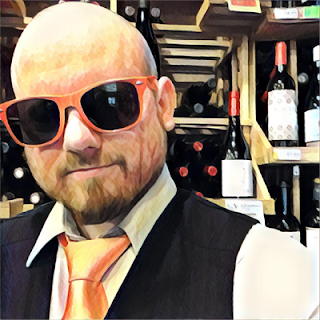 That review was for the 2015 vintage so you can check that out if you're interested. But this is something you're gonna want to drink fresh, and I've got the latest release right here. The 2017 White Merlot is 86% Merlot, 8% Pinot Blanc, 3% Riesling, and 3% Viognier. It was fermented for twenty-seven days at 60° F using EC-1118: Prise De Mousse yeast to preserve fruit flavors. It saw no maceration, no malolactic fermentation, and three months of maturation in stainless steel tanks. Harvest was in September 2017, bottling was in January of 2018, and it has a 12.0% ABV. The color of the white is a super light bronze. Cracked stone looms above aromas of grapefruit, lemon, spices, and a faint hint of mint on the backend. It's still medium bodied and it still has a round and milky mouthfeel that gets pushed aside by ridiculously tart acidity. On the palate it has simple and lively flavors with lemon, green apple, and steel. Then it finishes with lemon and intense acidity. By description it's almost exactly like the 2015 vintage and the outcome is the same. It's something fun and different to suggest for the $15 Pinot Grigio or Sauvignon Blanc drinker. Hell, it's a dry White Merlot that's pretty darn yummy so it's something fun and different for everybody to try. And I still think it'll be great with fish tacos.